Last Summer, we drank a fair amount of crisp Rosé – in amongst our regular repertoire of Pilsners, Pale Ales and our favourite dry Saisons. One late afternoon, a couple of glasses in, thoughts turned to the ultimate refreshing drink – could we combine the two? The Saison Rosé was born. 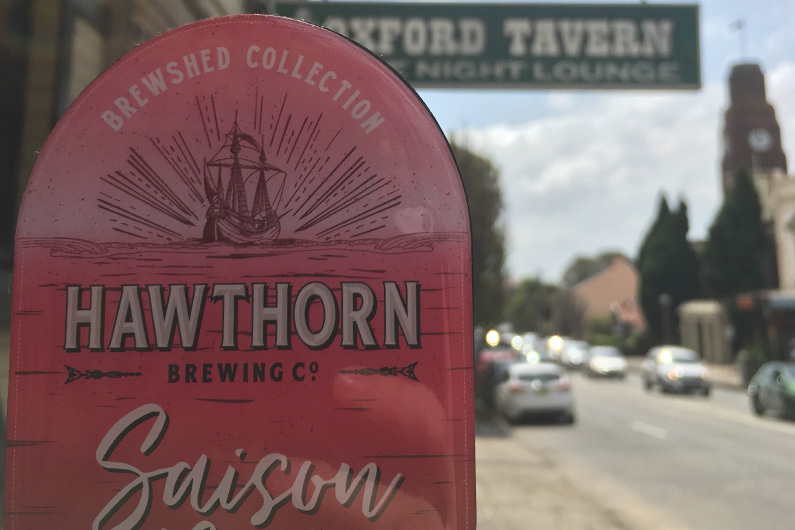 We took the classic Belgian style Saison and added a liberal dose of Not Your Grandma’s Rosé from Chaffey Bros in the Barossa Valley at the end of fermentation. It has tart, complex fruit characters with hints of Rosé throughout, and a dry, thirst quenching finish. Ridiculously refreshing! And perfect for summer drinking. Look out for it at good bars and pubs in Sydney and Melbourne.